An unusual spinal fusion surgery was performed by a French surgeon from Lyon. What makes it peculiar is that it was performed with the 3D printed spine cages. Dr. Vincent FIERE, M.D. works in the Hospital Jean Mermoz, Lyon, France, which is a center that specializes in diagnosing complex spinal defects and their surgical therapy. He performed the first procedure with UNiD ALIF intersomatic anatomical inside-the-body appliance created by MEDICREA, a team from France on May 28, 2014. The appliance was created from a 3D digital file developed from the extraction and treatment of pre-operation patient’s scanner images. The process was created by MEDICREA’s R&D teams. 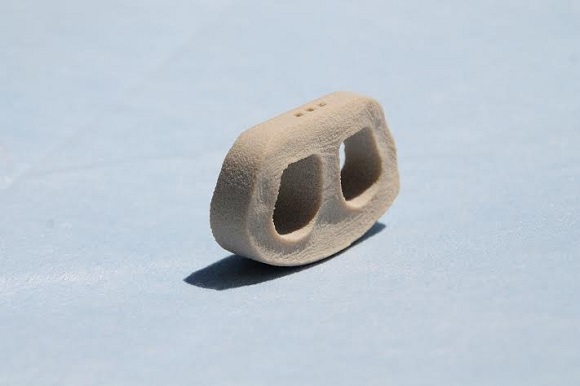 Such a design and also methods of production enable future progress and success of implantable appliances that are able to generate parts of spine that need reinforcing or replacing by synthetic constituents created on a 3D printer from titanium implantable polymers. The aim of spinal fusion surgery is to improve hard spinal defects. 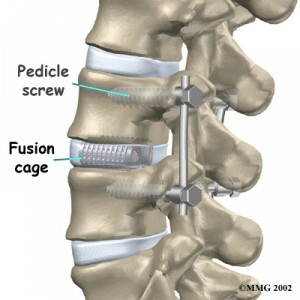 Injured discs are substituted with spinal cages to set apart the vertebrae and straighten the spine, whereas an arched spinal rod is tightened into place to preserve that adjustment. The intersomatic cell, developed by MEDICREA especially for Dr Friere’s patient, placed itself automatically in the space between the two vertebrae and joined ideally the spine with the end plates, in spite of both of them being asymmetrical and irregular. With the help of special software and progressive imaging, the UNiD ALIF custom-made cells made of Poly Ether Ketone Ketone (PEKK) reproduce the patient’s vertebral plates with anatomic precision. Dr Friere managed to perform disc height restoration with utter precision and at the same time he corrected some degree of lumbar lordosis applying the schemes he had made a few days before the operation using MEDICREA’s Surgimap software device. The process together with those numerous applications that are the result of the process serving to create 3D printed bone implants are patent-pending. Medicrea continues the way of the PASS LP UNiD rods, but still maintains its pioneering position among spinal implants, for they can easily adapt to each patient individually. It has also developed a proper manner to maintain the whole equilibrium of the body. Their ultimate aim is to make the patients’ outcomes better and easier. For the surgeons it’s a good opportunity to get ready with their plans beforehand and in the OR concentrate on what they do.